Houseboat Cruise in backwaters of Kerala is a unique and memorable experience . 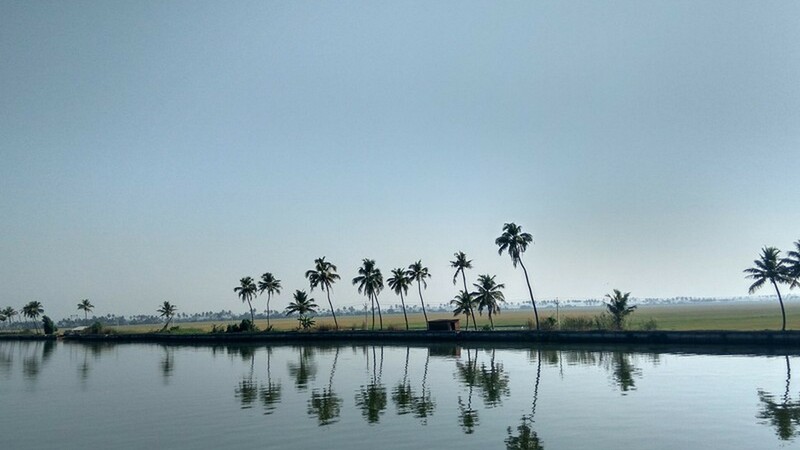 There are villages on the banks of these backwaters of Kerala where you can watch the green paddy fields and small houses with thatched roof on stretches of land in the middle of backwaters. When you cruise in a Kerala Houseboat in the middle of backwaters you can see people working in paddy fields and canoes being used as a mode of transportation or as a medium to sell fishes and groceries in some of the best backwaters of Kerala. 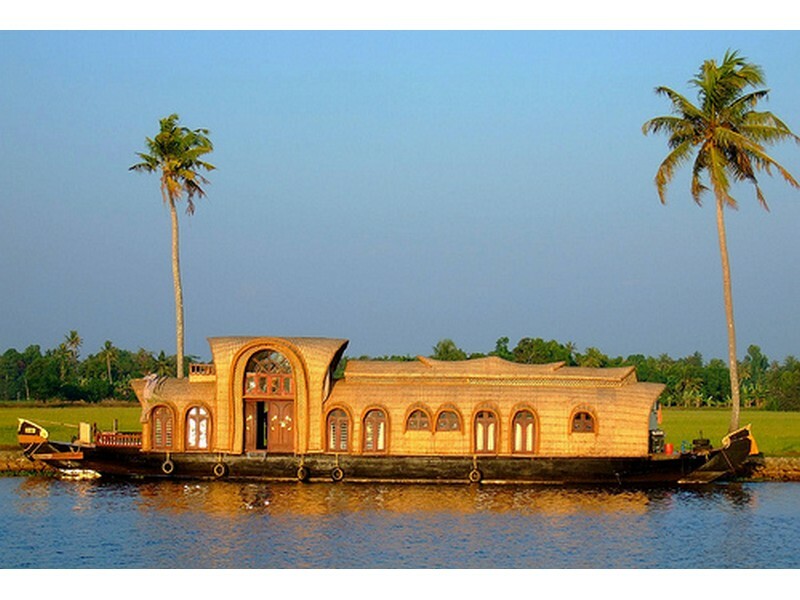 Houseboats in Kerala are best examples of responsible tourism and are available on hire for Cruise or for an over night stay. Most of the boats are localy crafted with thatched roofs from coconut leaves. 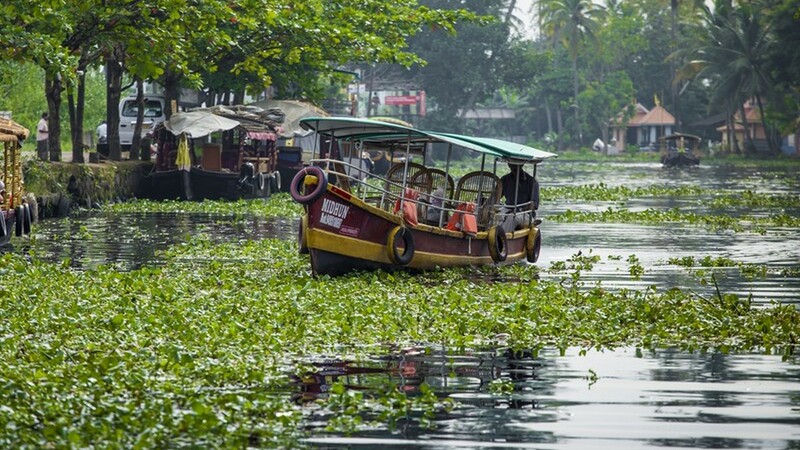 Tourists from all over the world visit Kerala and stay in houseboat and enjoy the modern amenities like facilities of a comfortable hotel in the middle of backwaters. The trip starts from Cochin at 9.00 AM and we will pick you up from any location in Ernakulam city in Private A/C Car. 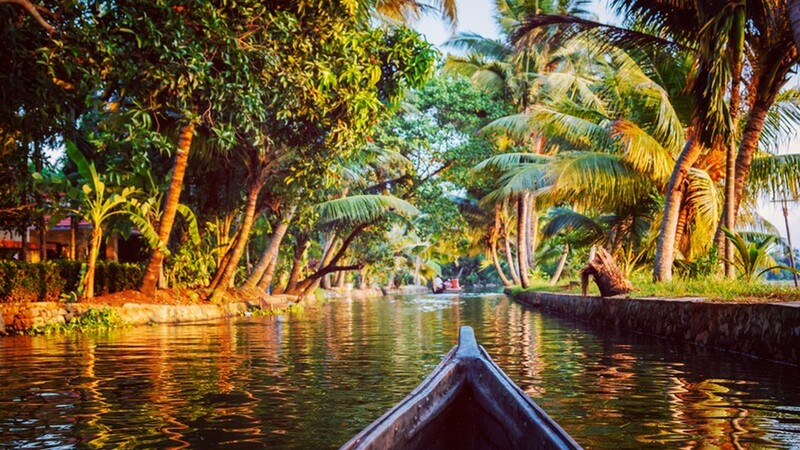 It takes about 75 minutes to reach Alleppey or Kumarakom based on availability. By 11 AM, we will check-in to the houseboat for the cruise. 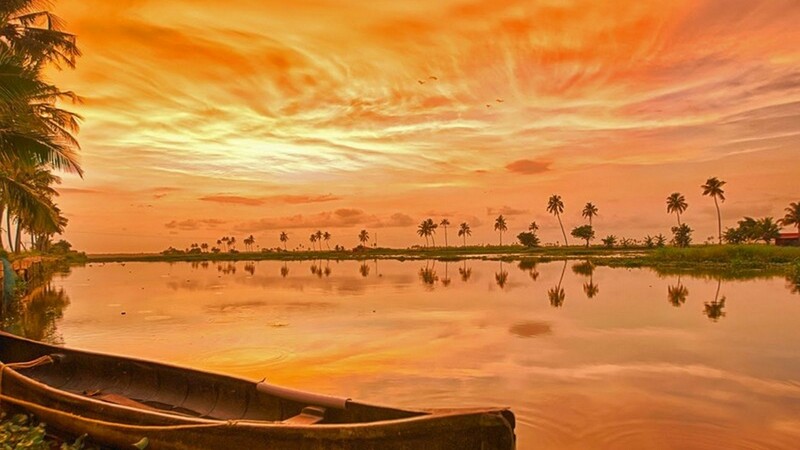 Start the cruise at 11:30 AM and enjoy the scenes in a Kerala country side in a backwater cruise. 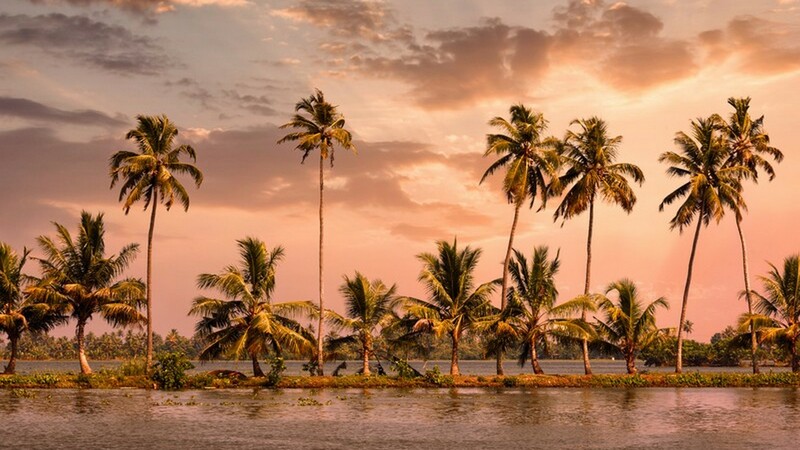 Enjoy the scenes in a Kerala country side in a backwater cruise -skim past bowed down paddy fields, local inhabitants engaged in making coir products, rustic homes and swaying coconut palms. 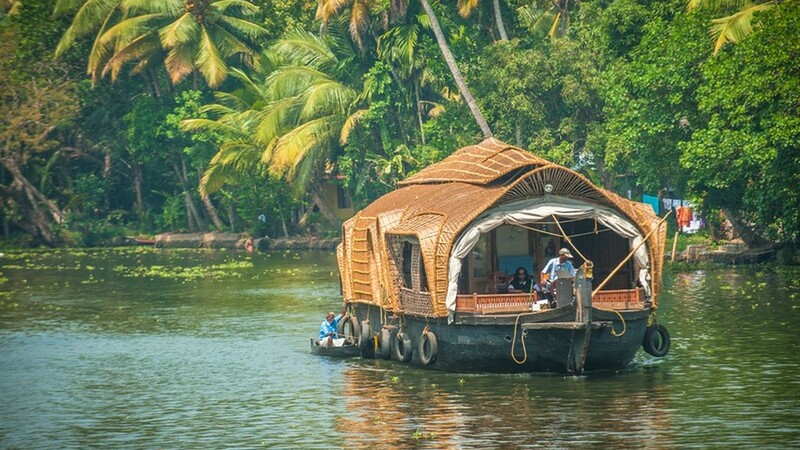 While cruising in the houseboat look out for local inhabitants making coir products, rustic homes and swaying coconut trees in Kerala country side and other boats passing through . Starting from Alleppey after visiting Vembanadu Lake the 4 hour cruise will take you through some of the beautiful backwater attractions of Alleppey. This is a good scenic route and require One day to travel. For Lunch will have Kerala Houseboat Menu that includes Rice, Sambar, Aviyal, Thoran, Pappad, Pickle, Curd, Green Salad and Non. Veg. Dishes like Kerala Speciality Karimeen Fish fry or Chicken Curry etc . We will continue with the sightseeing in Alleppey after lunch and snacks & tea will be served on board for all guests around 3-30 PM. Around evening 5 PM, we will checkout from the houseboat and will start the return journey to Cochin to drop you back in the city or airport by 7.30 PM. The total distance from alleppey to kochi airport is 85.7 kilometers and the road passes through Vytilla, Aroor, Cherthala, etc . The road conditions can be crowded though on occasion with pedestrians, cattle and local traffic! The activities on this trip are geared for anyone including children. Type of Vehicle A/C Vehicle with chauffeur at your disposal through out the tour. Single Room A/C deluxe Private houseboat only for you. Does the cost displayed cover the entire travel cost? Booked Day Cruise in Kerala Backwaters (with Kochi Pickup & drop)?